Dental crown represents the visible part of the tooth, and dental crowns in sequence make up a beautiful smile. Teeth are something we first notice about someone. High quality and beautiful teeth will raise patient's confidence and provide a better quality of life both personally and professionally. Dental crown is made of hard tissues, dentin and enamel. Dentin is the inner tooth layer, which can be yellow or grey, and enamel is the outer layer, which is of white color and is translucent. The combination of translucency of the enamel and the natural color of dentine determine the shade of teeth. As we already mentioned, a series of dental crowns will give you a beautiful smile and self-confidence, but it's not their only or the most important function. Dental crowns also have very important functional properties, beside its aesthetic value, they are in charge of food processing during consumption, correct pronounciation and also breathing. 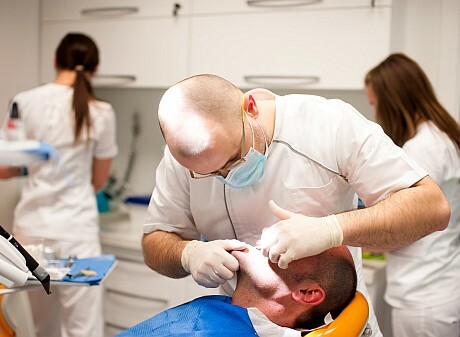 Dental crown loss can be a traumatic experience for most patients. Not only does it effect the patient's smile, but the patient also slowly loses the will to smile. The gap itself will also create problems with chewing until the patient gets used to it. If the missing teeth does not get restored, the neighboring teeth will be exposed to bacteria and different periodontal diseases and can lead to lack of stability and loss of neighboring teeth. Dental crown loss can happen for many different reasons, mostly due to periodontal disease or crown fracture trauma. Caries and periodontitis are the main culprits of tooth or crown loss. Caries is responsible for dissolution of hard dental tissues, and it specifically affects dental crowns i.e. enamel and dentin. On the other hand, periodontitis affects the whole tooth and its progression leads to tooth loss i.e. tooth root loss and crown loss. Beside periodontal diseases, the most common reason for tooth or dental crown loss is dental crown fracture trauma. Regardless of the age group, more and more people lose their teeth during sports, car accidents or carelessness. Dr. Marko Vukic is an excellent expert in the filed of prosthetics, endodontics and conservative dentistry. His longtime experience in working with patients from all around Europe makes him the best counselor for your problem. 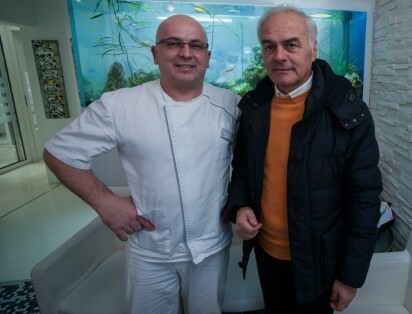 Feel free to ask dr. Vukic all your questions concerning dentistry or arrival to Dental Studio Vukic! Dental crown can be restored in different ways deepening on the cause of its loss. If the whole tooth is lost together with the tooth root, we have the option to restore it using a bridge or by placing a dental implant, to which a crown will be attached. If only the crown is lost, and the tooth root is intact, the tooth root can be elongated using a post, to which the crown will be attached. When we talk about the loss of several teeth, there are different restoration solutions, and they depend on patient's wishes and financial possibilities. Undoubtedly the first step should be to visit a dentist to determine which treatments are needed. One must consider all possible solutions regardless of the price and quality. One must be informed about characteristics of individual materials and solutions, warranties, clinic and the dentist, and go thru all the comments and experiences of former patients. It would be advisable to visit the clinic and meet the dentist during the first consultation. After you gather all the information, you should make a decision on whom to trust.